Tableau Software helps people see and understand data. 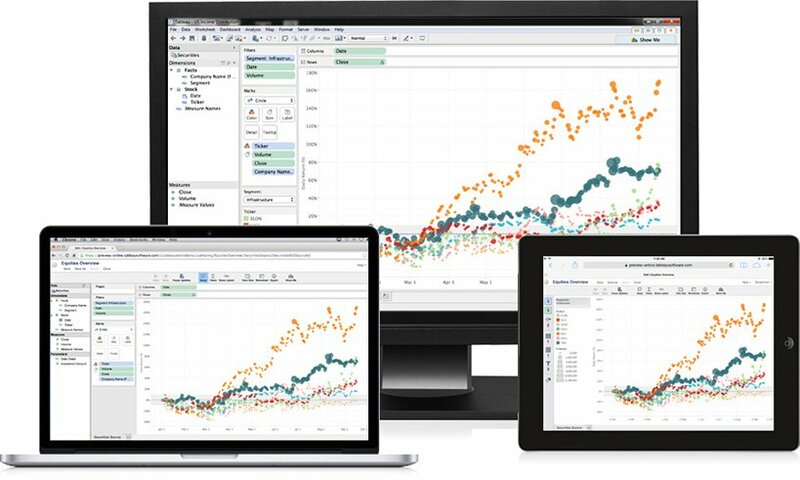 Used by more than 19,000 companies and organizations worldwide, Tableau delivers fast analytics, visualization and rapid-fire business intelligence. Lets you drag and drop to visualise and explore your data, create dashboards and stories and share your work with others. You can connect to all kinds of data (files, cloud sources, Big Data, databases etc). Tableau is fast, flexible, and supports best practice visualisation. You can build many different kinds of visualisations and dashboards in many styles to suit your audience’s needs and preferences, including infographics, guided analysis and exploratory dashboards. Powerful capability is readily available including date capability, forecasting & mapping capability. There are different ways you can share interactive visualisations or static versions of your data or reports. Lets you securely share your visualisations, stories and dashboards with others, who can access them with a web browser on any mobile device. Those with permission can also edit and create new visualisations in a web browser. You can centrally store and share your metadata and schedule extract creation so your Tableau Desktop authors are using the right data. Tableau allows you to interact with your data and tell stories to explain business decisions, or to engage and convince others. What does Tableau look like? Depending on what you want to see in your data and who the audience is, Tableau Software helps you visualise and share data in many ways. 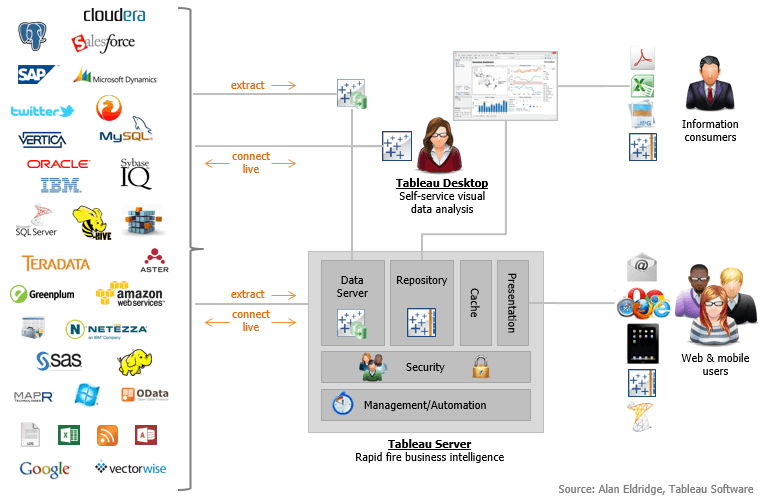 Where does Tableau fit in? Tableau fits in wherever you have data that you need to see, understand or show to others – quickly, easily and beautifully. Got a question about Tableau?